Take flight with PORCO ROSSO, a valiant World War I flying ace! From tropical Adriatic settings to dazzling aerial maneuvers, this action-adventure from world-renowned animator Hayao Miyazaki is full of humor, courage, and chivalry. When "Porco" -- whose face has been transformed into that of a pig by a mysterious spell -- infuriates a band of sky pirates with his aerial heroics, the pirates hire Curtis, a rival pilot, to get rid of him. On the ground, the two pilots compete for the affections of the beautiful Gina. But it's in the air where the true battles are waged. Will our hero be victorious? 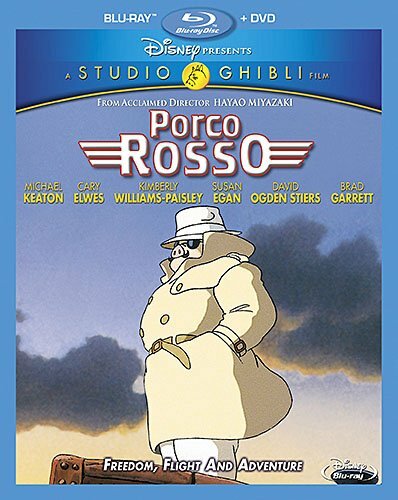 For the first time ever on Disney Blu-ray, PORCO ROSSO is a thrilling ride you'll never forget!